Wholesale Distribution is a very diverse sector. This article looks across several industry 'slices,' highlighting the characteristics and trends that are happening now. In Part One of this series, we looked at what’s driving the strong growth in Wholesale Distribution (WD), as well as ways that wholesale distributors are increasingly competing directly with adjacent sectors, such as system integrators, service and repair firms, 3PLs, and many others. Here in Part Two, we explore characteristics and trends in a few WD example industries. Food and beverage wholesale distributors serve the industry end-to-end, from farm, to factory, to restaurant or institution, to retail. Food categories can be specialties or broad lines. (Read about food solutions and business models here.) Some specialized capabilities are required to serve this industry, such as traceability, FEFO (First Expired First Out) processes, and cold chain for produce. Food and Beverage WDs serving the retail sector must handle fairly complex trade promotion arrangements, involving promotions, coupons, and rebates. Distributors occupy two distinct and different positions within the high tech supply chain, as shown in Figure 1 below. Component distributors (such as Avnet and Arrow) sell semiconductors, electronic components, hard disk drives and other components needed to manufacture high tech devices. System distributors (such as Ingram Micro and TechData) sell finished systems. These are not pure distinctions, as each dabbles in the other’s arena. For both component and system distributors, the larger players tend to have a broad range of products and have diversified to include value added services such as systems integration. The component distributors in particular leverage their access to market-wide data to provide advanced analytics, such as price trends and industry-wide demand information. Many of these services are delivered on sophisticated software platforms that rival the depth of pure software providers. Hear more about unique high tech WD players here: Emerge Medical and DiscounTechnology. Smaller high tech distributors tend to add value by specializing, through focusing on serving the needs of a specific industry or geography, or becoming experts in particular commodities or technologies, and/or leveraging the relationships they have developed on both the supply and customer side. The system distributors in particular can often be multi-tiered, with the larger distributors supplying myriad smaller VARS and resellers. This is a somewhat fragmented sector—over half of the top 50 are in the $50M - $500M range, and the largest distributor in the US is only $7B. These companies offer a huge range of product types and complexities, everything from nuts and bolts to large, complex machinery. They also serve a large range of types of customers, from the do-it-yourself consumer, to small and large contractors, to manufacturers and other corporations. Manufacturers are by far their largest customer segment. Because of this diversity, industrial distributors support both RFQ-driven and ad-hoc purchasing. Some industrial distributors have an industry focus (e.g. oil & gas), others have a product focus (e.g. fluid handling equipment), and some focus only on specific product segments within a specific industry. Industrial distributors often deal with huge numbers of SKUs, up into several million. 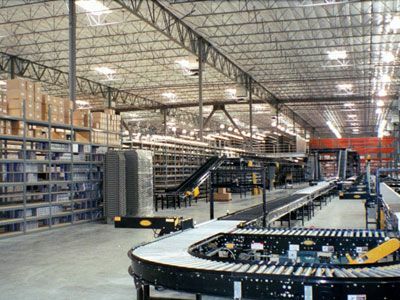 As such, they can have large, sophisticated warehouses with the latest material handling equipment. They compete on choice and availability, having in stock what you want right now, as well as a large variety. This requires superior inventory management systems and processes. As with most WD sectors, services are critical for differentiation and margins for Industrial distributors. Remember, they are often selling large complex machinery which means they can also sell installation and repair service. In addition, they may manage a company’s MRO supplies (Maintenance, Repair, and Operations) either remotely or on site, as well as providing safety and productivity services, energy/lighting/green consultation and management, training, and emergency response services. We live in the age of global bargain hunters searching the web for deals, whether B2B or B2C. So, this is a high growth sector of the WD world. Outside of eBay, there exist many exclusive or special relationships between brands and retailers, and liquidators who can get them better prices. The future here is also to have the liquidator as a hub to small businesses on the web or in retail. This is a high risk sector that requires strong financial and risk management, such as insurance, bonding, consignment management, Escrow Accounts/Payments, and factoring or trade financing. A lot of the procurement happens as opportunistic one-time buys. But these WDs also deal in more standard ongoing procurement agreements. As you can see, WDs are almost as diverse as the whole economy. Wholesale Distribution is one of the most dynamic sectors in the economy, growing strongly and successfully competing head-on with many other sectors. As they continue to grow their services businesses, the sophistication and expertise within many of these WDs rivals that of the top system integration or high tech or engineering firms. Far from just being ‘keepers of inventory,’ WDs have become a vital provider of advanced services in sectors across the entire economy.